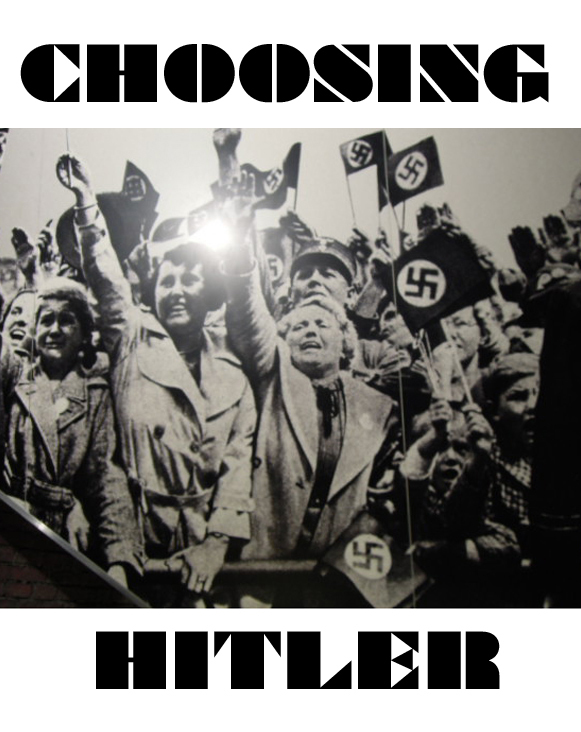 Several friends have expressed an interest in the research I am doing for my novel-in-progress, tentatively titled CHOOSING HITLER. I organize my books on Goodreads. 2,500 Jews comprised 50% of the population of the Polish village Tykocin on August 25, 1941. Until that day they were a vibrant shtetl community full of the joy and learning of Polish Jewry. Two days later they were gone. The Nazis first had Polish Christians dig large pits in a quiet forest about 3 miles from Tykocin. A week later, all Jews were ordered to appear at 6:00 am in the old market square roughly half way between the synagogue and the Catholic church. German lorries arrived and heavily armed men sealed off the square. Jewish women and children were loaded onto the lorries and driven off to their burial pits. The Jewish men were formed into columns and marched after them. The Jewish women and children were lined up in small groups at the edge of the pits and shot. Their bodies fell into the pits. 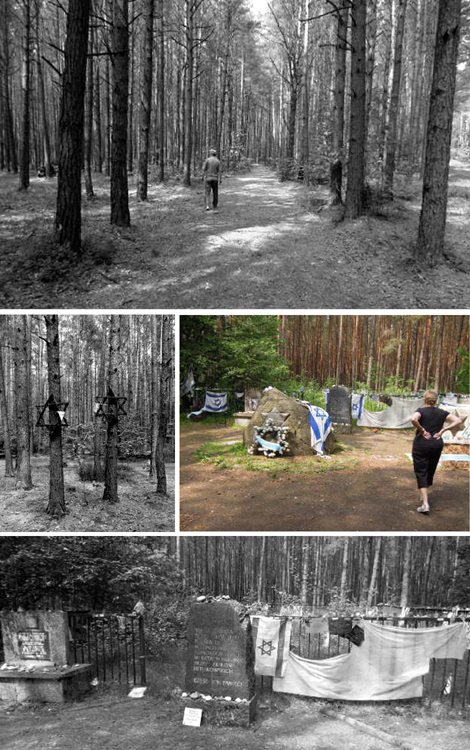 The Jewish men were held overnight and then marched into the forest the next day. They too were lined up along the pits and shot. Their bodies were dumped on top of the women and children murdered the previous day. This incident, as described in a publication honoring those who died, raises many questions which are relevant for my novel-in-progress. The Christian Poles of Tykocin obviously saw the Jews leave, and they certainly knew they did not return. Yet our guide insisted they did not know what happened to them. How can that be true? “And if they did know,” the guide said, “so what? What could they have done?” I disagree with that characterization of impotence.There were many opportunities, other than committing suicide by confronting the Nazis, to protest the mass murder of the Jews. Did the parish priest, for example, report the incident to his superiors, and if so, what did they do? Did the Christian citizens of Tykocin report the incident to former Polish government authorities or resistance groups? 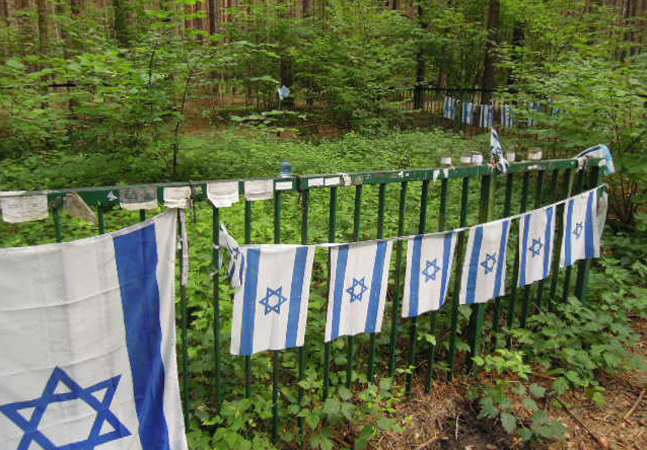 at a time when most of Poland’s 3 million Jews were still alive? After the war, the mass graves were found, by whom and how I don’t (yet) know, but it seems likely that some of the Christians still living in Tykocin were the ones who identified the grave sites in the midst of dense woods 3 miles from town. Which means they very likely knew what was there. The synagogue has been restored by Jewish sources including the Lauder Foundation. and is now a moving museum. The town bakery makes excellent challah bread. But other than the synagogue and a single marker at the old Jewish cemetery for those who were buried from 1522 until the day in 1941 when the mass execution took place, there are no memorials to Jews in Tykocin. The Christian Poles act as if the Jews were never there. On the day of our visit, not a single Jew was living in Tykocin. Many Jews, however, visit every day. Within the two hours we were in Tykocin, there were four different tour groups with at least 30 Jewish young people in each group. Several groups prayed and sang in the synagogue. What do the Christian Poles now living in the homes of the executed Jews think of all this? Do they ever reflect on the Jews who were their neighbors for over 400 years? Are these Jews ever mentioned by the priest in the large church just a few meters from where the Jews were collected for annihilation?